Moravians really like the number 13. We have two festivals in the church year that fall on the thirteenth day of the month: August 13 and November 13. This is probably just a strange coincidence, but it does tell us that Moravians are not very superstitious about numbers! 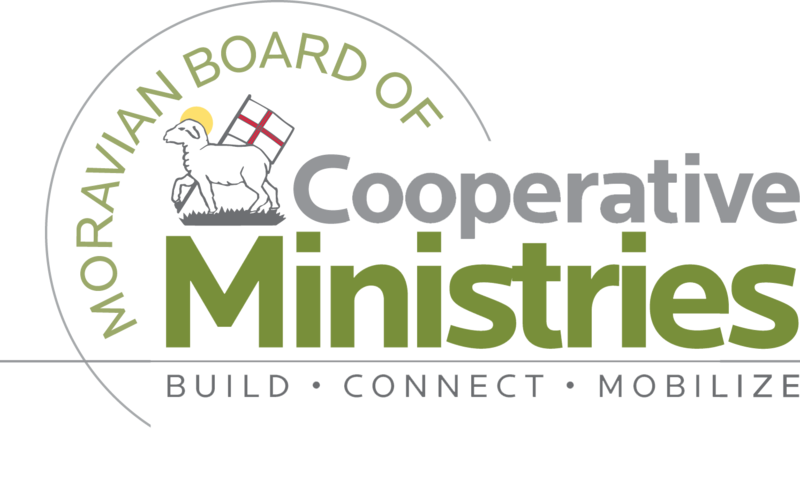 August 13 was the great day when the Moravian church was given a new life by the Holy Spirit. We celebrate that event with communion and lovefeasts, but what is November 13 all about? On September 16, 1741, the leaders of the church were meeting in London to make a number of important decisions. One of them was to choose a new Chief Elder. Leonard Dober, one of the first missionaries to the slaves in the Caribbean, had been serving as chief elder for several years. It was a big job. He was responsible for the spiritual welfare of a church that had grown rapidly from a little community in Herrnhut, Germany to an international fellowship stretching from Greenland to South Africa. The Chief Elder was primarily responsible for hearing people’s complaints and concerns, especially in spiritual matters. He prayed on behalf of the community, and at times he worked to make peace between individuals. He was a pastor who was expected to offer sound advice. There was also a Chief Eldress for the women of the church. For many years, it was Anna Nitschmann, the head of the Single Sisters Choir. Leonard Dober was tired. The job was wearing him out, and people were beginning to complain about how he did things. So, he officially asked to lay down this office, and then the rest of the elders set about trying to find someone to replace him. The elders who were gathered included the Count and Countess von Zinzendorf, Benigna, their daughter (who was only 16), Leonard Dober, Anna Maria Lawatsch, Friedrich von Watteville (Zinzendorf’s best friend), Rosina Nitschmann, David Nitschmann (not the bishop), and August and Mary Spangenberg. This was an impressive group that included some of the wisest people in the church. It is amazing that there were as many women as men at the meeting. That would not have been the case for other churches at that time. It is also remarkable that most of the participants were under the age of 42. By our standards, these elders were quite young. They were also creative and adventurous. Each of them had travelled through many countries and across the ocean to spread the good news that God loves all people, especially those who have been rejected by the world. In those days Moravians made important decisions by selecting a lot, a process no longer used in the modern church. The purpose of the lot was to let Jesus have a direct voice in decisions of the church. The elders would discuss a problem and propose a solution. Then they would pray for divine guidance, and finally they would pull out a slip of paper from a box. If it said “yes,” they would go ahead with the decision. If it said “no,” they tried to find another solution. Sometimes the lot said “wait,” and so they would give the situation a little more time and try again. On September 16, they asked the Lord if Leonard Dober could stop being Chief Elder and the answer was “yes.” After that they submitted many names of people they thought could replace him, and each person was rejected by the lot. They grew worried and took time to pray and read the Bible. 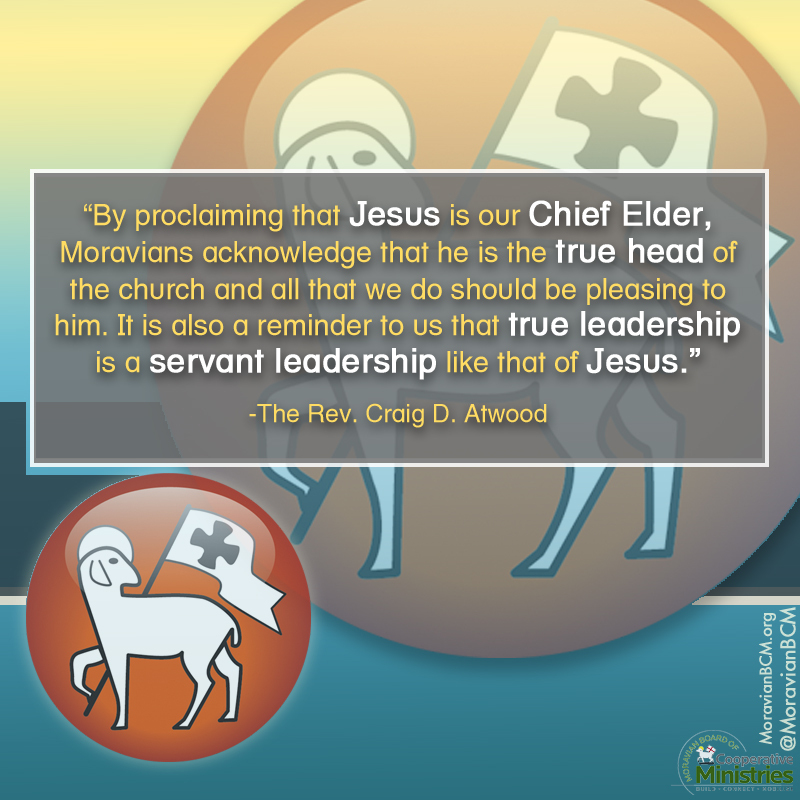 The verses they read all talked about Jesus’ role as the great shepherd and Lord of the church. Finally the small group of elders decided ask this question: “Whether this signified that the Saviour would himself undertake the office.” To their surprise, the lot agreed and in good Moravian fashion, they sang a hymn, “We kiss thee with great tenderness, you elder of the congregation.” Jesus Christ had officially accepted the office of Chief Elder through the lot. 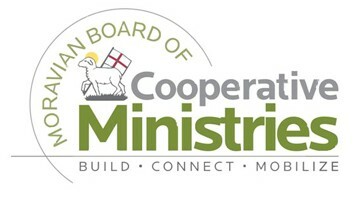 Download and use the above graphic for your church’s social page by clicking here. This was such an extraordinary event that the elders decided not to announce it immediately to all the congregations. They took a couple of months to prepare liturgies and sermons to celebrate what had happened. The day they chose to make Jesus’ election publicly known was November 13, and we still celebrate that date, often with Holy Communion or a lovefeast. At the time, November 13 signified that Christ was pleased with the work of the church would continue to bless it as chief elder. It also meant that the church relied even more heavily on the lot to discern the will of the Savior. It became customary to leave a chair empty at elders’ meetings to remind them that Jesus was there in Spirit. -The Rev. Dr. Craig Atwood is Associate Professor of Moravian Theology and Ministry at Moravian Theological Seminary and author of The History of the Czech Brethren from Hus to Comenius. This article was originally posted on the Roots & Wings blog on November 9, 2009. Finding Bethlehem in the Midst of Bedlam (James Moore) Christmas or confusion, Bethlehem or bedlam . . . Which will you choose this year? The truth is, we don’t have to choose, because Christmas always happens right in the midst of our chaos. God breaks into our noisy disorder and is made known in Jesus Christ. Christmas and confusion—weren’t they intimately related at the first Christmas when Jesus was born? Sometimes we forget that. That’s what this study is about—how Christ breaks into our chaos and confusion and brings Christmas—how Bethlehem always happens in the midst of bedlam. The re-introduction of this all-church Advent study, which features a new Leader Guide and DVD, has five sessions—one for each Sunday of Advent and one for Christmas. Each chapter includes questions for reflection and discussion, a brief prayer, a focus for the week, and six daily Bible readings for personal devotional time during the week. The Journey: Walking The Road to Bethlehem (Adam Hamilton) Using historical information, archaeological data, and a personal look at some of the stories surrounding the birth, the most amazing moment in history will become more real as you walk along this road. This study includes a DVD and a devotional book. A Different Kind of Christmas (Mike Slaughter) This will empower your family and your church to reclaim the broader missional meaning of Jesus’ birth, and experience a Christmas season with more peace and joy than any toy or gadget could ever bring. Discover how Christians can experience the true joy of living and giving like Jesus, beginning with the Christmas season and continuing as a lifestyle. There is a DVD component as well as a devotional book. 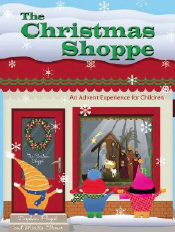 The Christmas Shoppe: An Advent Experience for Children (Daphna Flegal and Marcia Stoner) Children explore the story and the symbols of Jesus’ birth, peruse the Bible, and create symbols of Advent as special gifts. This book helps children prepare to be a part of the presentation of the Christmas story. It comes with an inter-generational worship model.The Story of Christmas. Inside this Advent calendar you will find 25 small numbered books. As you open the gates, the Christmas story will start to unfold. It teaches children the amazing story of the first Christmas on earth. Unwrapping the Christmas Crèche (Lisa Flinn and Barbara Younger) This engaging and delightful book follows a child’s thoughts and actions as the Christmas crèche is unwrapped. Each figure comes to life in this Advent adventure! Share Unwrapping the Christmas Crèche with your children as you create memories and traditions of your own. 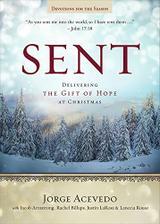 Sent: Delivering The Gift of Hope (Jorge Acevedo) “As you sent me into the world, so I have sent them . . .” —John 17:18 God sent Christ at Christmas. In turn, Christ sends us into the world to be his hands and feet, head and heart. Dynamic pastor Jorge Acevedo leads us on a 5-week Advent journey to discover how, where, and why we are sent. Joining him on the journey are four young clergy including Jacob Armstrong, Rachel Billups, Justin LaRosa, and Lanecia Rouse, who challenge us through story, art, and Bible study. This devotional, offering four weeks of daily reflections, functions beautifully on its own or as part of the church-wide experience. The reflections are ideal for use during Advent and include Scripture, personal insights, daily challenges, and prayers. Embodied Light: Advent Reflections on the Incarnation (Melissa Tidwell) The book’s penetrating reflections for Advent reveal how to follow this fully human, fully divine Jesus with our full selves – mind, spirit, and body. The Uncluttered Heart: Making Room for God During Advent and Christmas (Beth Richardson) Advent is the season when we prepare our lives – hearts, minds, and spirits – for the coming of the Christ child. We sweep out the corners of our hearts, cleaning up the clutter, to make space for God’s hope, peace, joy, love, and presence. God is I n The Manger: Reflections on Advent and Christmas (Dietrich Bonhoeffer) These stirring words are devotions that guide and inspire readers as they move thematically through the weeks of Advent and Christmas, from waiting and mystery to redemption, incarnation, and joy. Waiting For the Wonder: Voices of Advent (Katerina Katsarka Whitley) You are placed in the hearts and minds of the biblical characters – both real and imagined – who played a part in the Christmas narrative. The voices lead us closer to the Christ child and deepen the meaning of the season of Advent. Creating Christmas Memories: Family Traditions For a Lifetime (Cheri Fuller) The traditions we share together each year remind us of who we are and where we have been as a family. Christmas is a wonderful time to establish new traditions, enhance old ones, and build special memories. Christmas At Our House: Family Holiday Traditions (Donna Green) This keepsake book preserves the special holiday traditions and memories that bind families together for your children and grandchildren. It is a joyous celebration of the uniqueness of every family. The Resource Center’s hours are 9am-5pm, Monday through Friday (evenings and weekends by appointments.) Email bhayes@mcsp.org if you have questions or need more information. 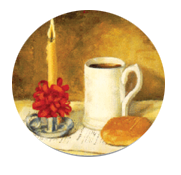 You can view our Advent catalog here, or search “Advent” on Resource.Moravian.org.